Today’s photo of the week is one of the six new Antipodes Island parakeets that have taken up residence at Pukaha Mount Bruce. 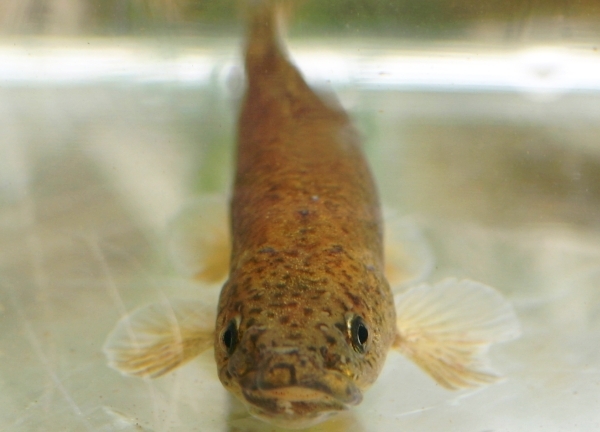 Gulp, gulp… I’m Teviot flathead galaxias, but you can call me Tev. I live, with every other Teviot on the planet, in a small part of the Teviot River in Otago… gulp, gulp. If you think that sounds crowded you’d be wrong. There aren’t that many of us. Probably less than 100. So, it’s actually kinda lonely. Not just any Teviot flathead galaxias — it’s me! I may not be as famous as Sirocco the kākāpō (…yet), but some of my family are quite well known. Unfortunately for them though, it’s for how they taste in a fritter… gulp, gulp. I am every bit as threatened as my feathery friend though. We’re both classified in the New Zealand Threat Classification System as ‘nationally critical’—that’s just one step away from ‘extinct’… gulp, gulp. 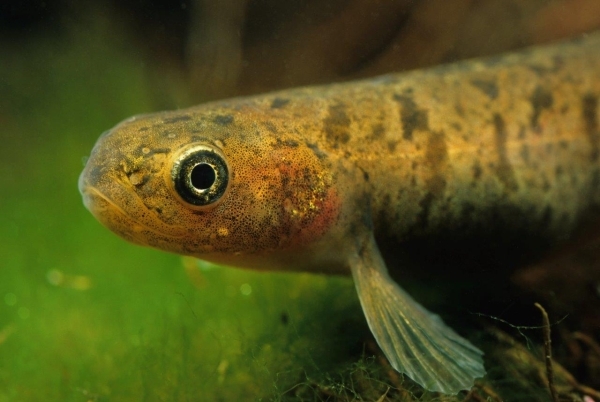 It’s tough to be a small fish like me, as there are many threats to my home, including land use changes, gravel extraction, water abstraction, drain clearing and declining water quality… gulp, gulp. On top of all this, introduced trout—who are a lot bigger than me—think I’m quite tasty… gulp, gulp—just like you humans with your whitebait fritters. I think there’s room for us all—native fish, trout and humans, but we fish rely on you humans to talk to each other and work together to come up with ways to keep our rivers and lakes clean and beautiful and, importantly, to keep me off the ‘extinct’ list… gulp, gulp. 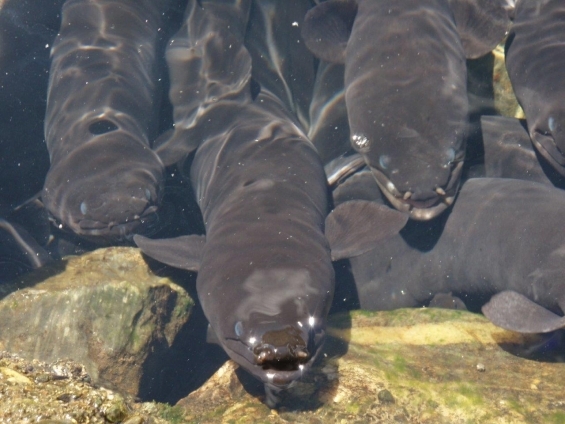 If you’d like to know more about the conservation status of New Zealand freshwater fish you can find our more information on the Waiology blog. Today’s photo of the week is a boulder copper butterfly — one of the many endemic species of butterfly found in New Zealand. Boulder copper butterflies can be found throughout the South Island and in central areas of the North Island, but are more commonly encountered in the upland areas like the Southern Alps and the central plateau.